10 days from £4270pp plus international flights. A great value Zambia safari spending 6 days wildlife viewing in South Luangwa National Park followed by 3 days at Victoria Falls. 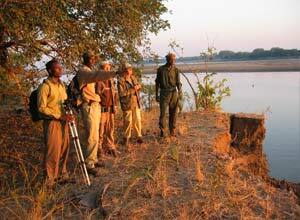 Here at Tribes we rate South Luangwa National Park as one of our top spots for viewing African wildlife. Not only is the wildlife here diverse and prolific, including wonderful bird life, strong lion prides, excellent leopard sightings plus a great range of other wildlife, but it is also a very beautiful park with some very large old trees amongst the grasslands and the Luangwa River snaking through. The park is also the birthplace of walking safaris, and the guiding here is second to none. So, if you want some of the best African wildlife, a week in South Luangwa should be high on your list. Normally of course, this comes at a very high price, but this trip is really excellent value, so unless you are thinking of camping or travelling here in the green season (December-May when prices are much lower), this trip will be hard to beat. 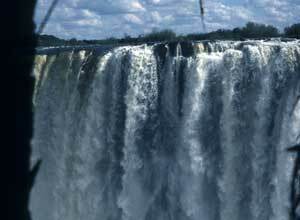 When you combine this safari with 3 days to see the stunning Victoria Falls and enjoy the many activities you can do here, this becomes an African holiday which many travellers will just love. When you arrive at Lusaka Airport you are met and assisted on to the domestic flight to Mfuwe, the small airport near South Luangwa National Park. It takes roughly 2 hours depending on the size of the plane. On arrival in Mfuwe, someone from Kafunta River Lodge is there to meet you, and drive you the roughly 50 minutes to camp. Your first game activity takes place this afternoon: head out on safari in South Luangwa for your first taste of the wilds! 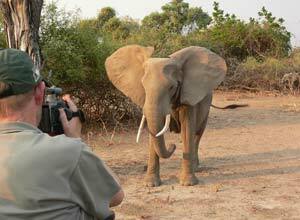 South Luangwa is truly one of the best wildlife viewing places in Africa, so you're in for a treat. You have two wildlife viewing activities every day. 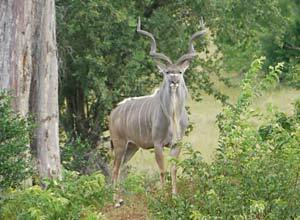 From late May/June to the end of October walking safaris are available as well as day and night game drives. Game drives last roughly 4 hours, with morning safaris starting around 6am. Evening safaris start about 4pm before the sun sets then continue on as the night settles in so that you can enjoy seeing some of the nocturnal wildlife too. 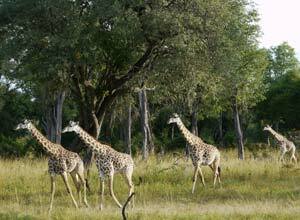 South Luangwa is such a pretty park, so simply driving or walking around on your safari is a wonderful experience. Add to this the vast number of hippos, large numbers of elephants, a strong lion population, lots of leopards, and wild dogs, and you are sure to have encounters a-plenty. This is over and above the prolific birdlife, antelopes, zebra, giraffe, crocodiles ... 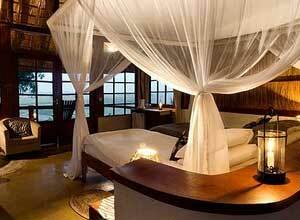 Your safari experience here in Luangwa should be utterly memorable. 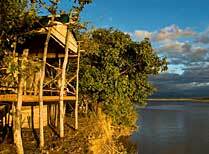 Today you are transferred from Kafunta, in the central area of South Luangwa, to Island Bushcamp in the south. Moving to a different camp not only gives you another area of this large reserve to explore, but also a diffetent style of accommodation to enjoy. This is a tiny bushcamp composed of only 4 tents, very remote, but also very high quality. The camp is well known for walking safaris, which are excellent here, though game drives are also taken here too so you get the best of both worlds. Today you can enjoy getting to know this gorgeous location and its superb wildlife, led by an excellent guide and accompanied by an armed ranger as you explore on foot. You learn about tracking animals and spend time watching small creatures and finding out about the importance of certain plants, as well as observing large game. 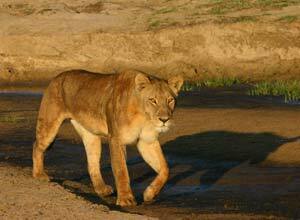 Enjoy your last day on safari out in the wilds of South Luangwa. Since this trip gives you almost a week in the park, you have very strong chances of seeing a great diversity of African game, and experiencing some unique and memorable adventures. Today you are transferred back to Mfuwe in time for your flight to Lusaka, and then on to Livingstone. 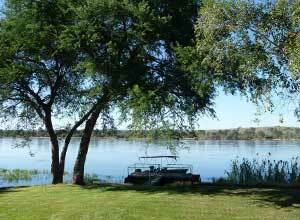 On arrival in Livingstone, you are met and driven the half hour or so to Waterberry Lodge, your home for the next 3 nights. 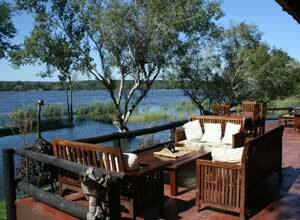 This is a pretty lodge made up of individual cottages set in the gardens overlooking the Zambezi River. Relax aftre your journey. soak up some sun and enjoy a refreshing dip in the pool. 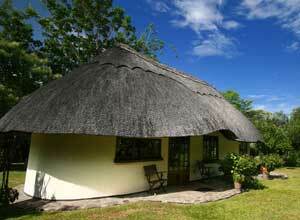 Tbis is a lovely restful location in which to be based for enjoying the Victoria Falls region. There are loads of activities available in this area. Visitng Victoria Falls is a must, but beyond that you can choose between taking a tour of Livingsotne, joining a guide for some birdwatching, visiting a nearby village and ending the day with a sunset cruise on the river, all of which can be arranged by the lodge. You can organise other options such as helicopter flights, bungee jumping, white water rafting. canoeing and horse riding locally. One thing is for sure, you won't be bored! Another day to explore the Victoria Falls region, go for a safari in Mosi-oa-Tunya Natioanl Park, or maybe chill out at the lodge taking walks on the marked trails, watching antelope and small cats in the Waterberry Conservation Area, and enjoying refreshments by the river. Have breakfast at Waterberry before packing your bags ready for the transfer to Livingstone airport in time for the flight to Lusaka to connect with your homebound or onward flight. Price notes: 2019 guide price pp sharing: 25 May - 30 2019 June £4270. 1 July – 31 October £4522. This trips begins in Mfuwe, Zambia and ends in Livingstone, Zambia. Ideally this most conveniently fits in with flying into Lusaka, then departing from Livingstone via Johannesburg. If you fly in and out of Lusaka you will need an overnight in Lusaka on your last night due to flight timings. Departure dates: As a private tailor made holiday you can take this at any time you like, subject to availability and camp open times. 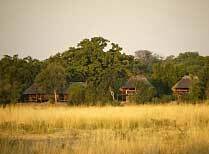 The bushcamp on this Zambia safari is open from about end of May to the end of October.